More than 31% of mobile developers are supporting NFC in their mobile apps today and an additional 45% plan to support the technology in the next 12 months, according to a Mobile Development Survey released by Evans Data Corporation. The survey, conducted in May this year with mobile developers from around the world, revealed that more devs have plans to support NFC in the near future than several other emerging device features, including voice recognition, range finding and device pairing. 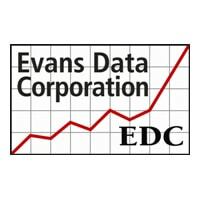 “We surveyed over 500 mobile developers about their current activities and plans for different mobile-related technologies, and about various mobile-related issues,” Michael Rasalan, director of research at Evans Data, told NFC World. “With regards to NFC, we asked developers if they support or plan to support near field computing. 32% indicated that they currently support NFC. This is a significant percentage of mobile developers and shows how excited they are with near field computing. We feel developers are very optimistic about the technology and the potential it offers, especially in applications for security and access. The survey found that the primary driver for NFC support is security and access control — keycards and dongles, identity, entry and access, boarding passes and transponders. Other popular drivers for NFC support are social networking, Bluetooth and WiFi connectivity, and commerce. “NFC is the next evolutionary step in mobile computing,” said Janel Garvin, CEO of Evans Data. “It’s clear that it’s going to change the way we perform everyday actions such as opening a locked door, getting on an airplane, or making a purchase at a store.